Spending the night in Levin Iglut igloos is magical. 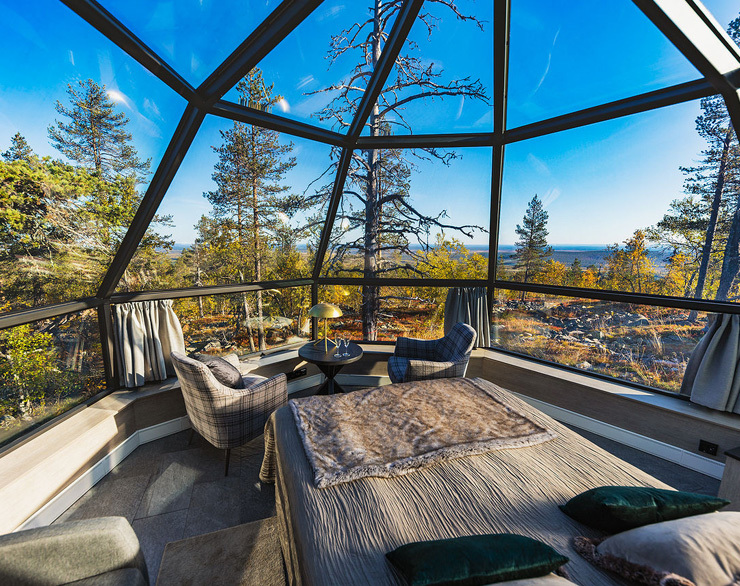 In addition to the astonishing view, the glass igloos are surprisingly spacious and feature a high standard of equipment. 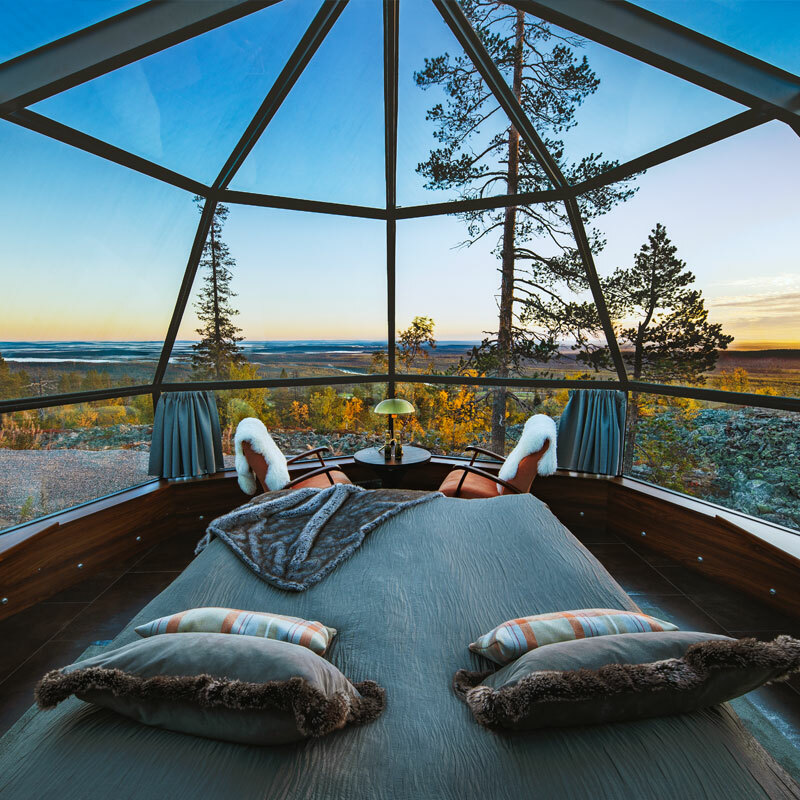 You can fall asleep in a luxurious warm bed on a fell slope admiring the Arctic starry sky – and, if you want, you don’t have to leave the igloo at any point during your stay. 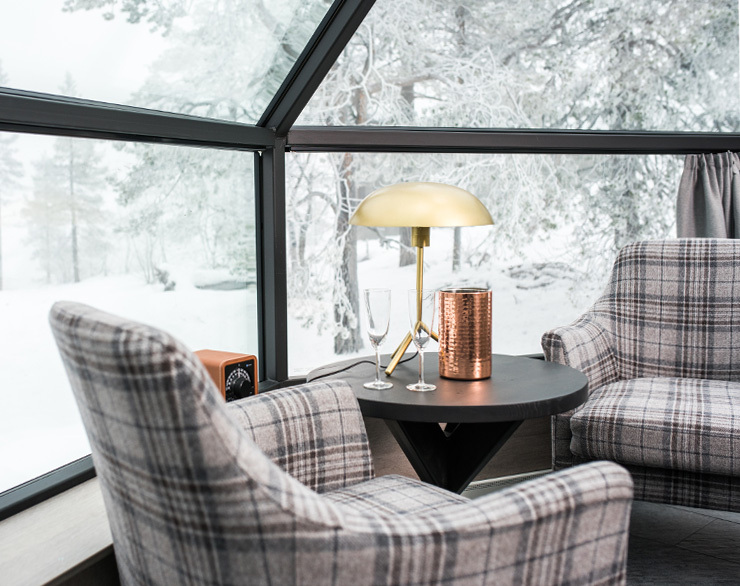 An abundant breakfast buffet in our atmospheric restaurant Aurora Sky is included in the price of the night in an igloo. You can choose a Premium igloo for two with a front-row view, or a Superior igloo for max. 2 adults and 2 children. The Premium igloos, popular especially among honeymooners, are located in front-row seats on the fell slope. They feature the best unobstructed view over the valley and the northern sky. The motorised bed can be adjusted to the position that best suits you while admiring the phenomena in the sky. 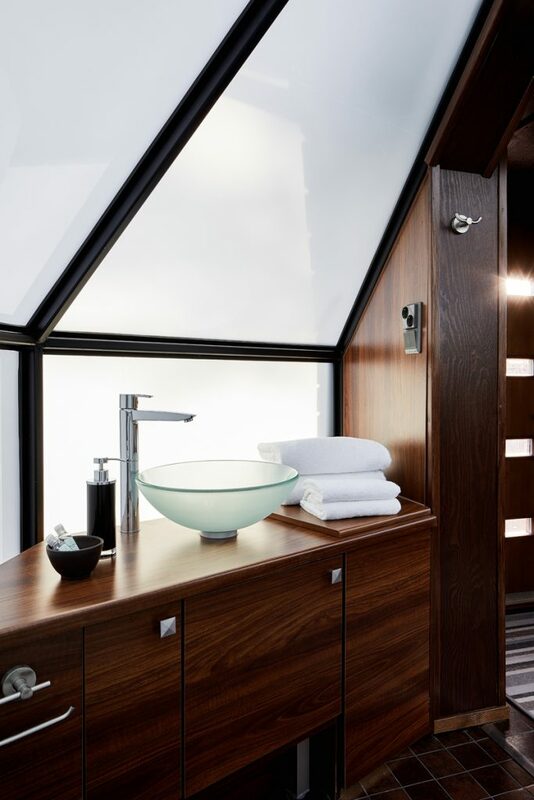 In a Premium igloo, a welcome drink and high-quality bathrobe and slippers await the guest. Their kitchenettes include a microwave oven, refrigerator, kettle, coffee maker and speciality coffee machine. Each igloo also has its own bathroom. Thanks to the heating of the glass roof and walls, snow and ice will not obstruct the view to the sky. The igloos also feature free Wi-Fi, radio and Bluetooth loudspeakers. In the Superior igloos, you can admire the Northern Lights with the entire family: in addition to a motorised double bed, the igloos feature a sofa bed offering sleeping space for two children aged under 12. 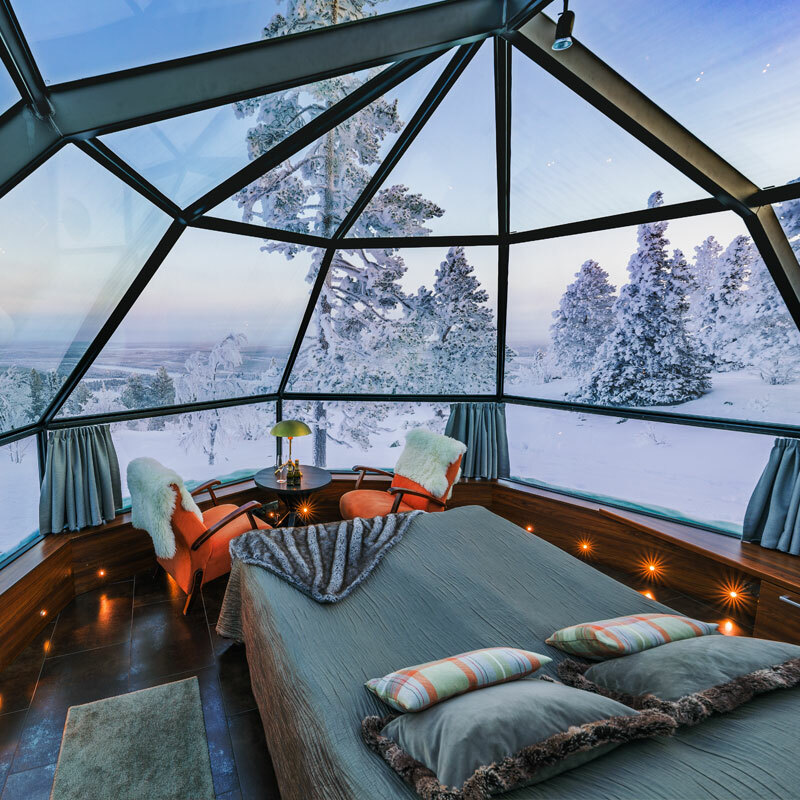 The Superior igloos also feature a good view over the valley and sky. 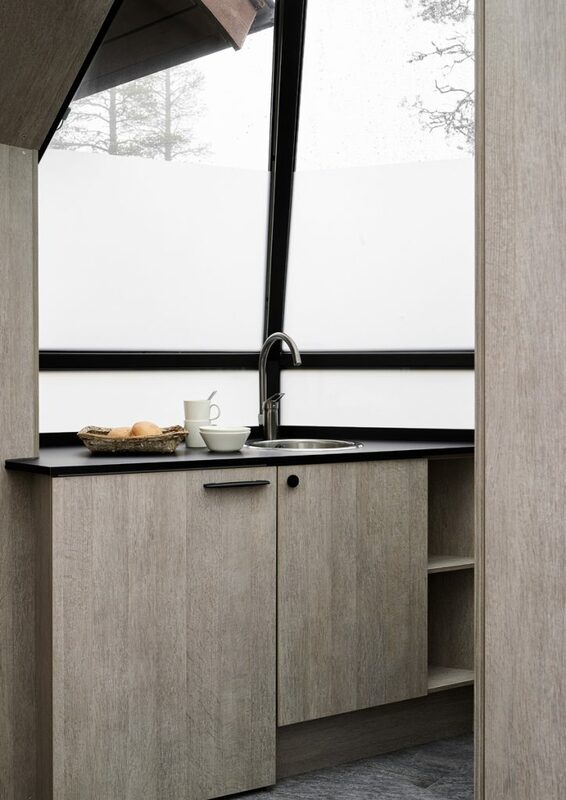 The Superior igloos feature a kitchenette with a microwave oven, refrigerator, kettle and coffee maker. 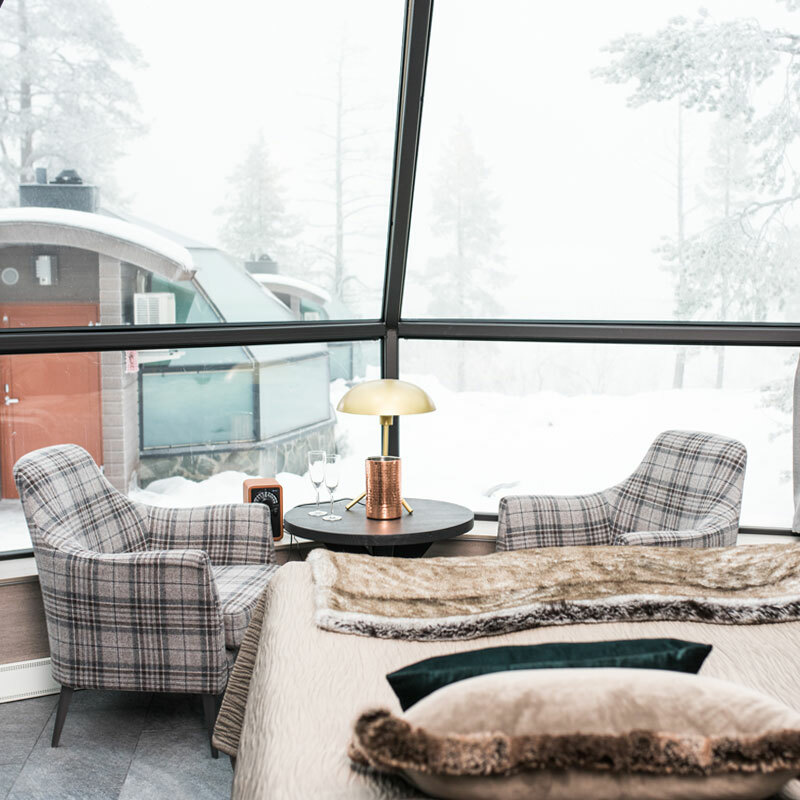 Each igloo has its own bathroom and high-quality bathrobes and slippers for the guests to use. Thanks to the heating of the glass roof and walls, snow and ice will not obstruct the view of the sky. The igloos also feature free Wi-Fi, radio and Bluetooth loudspeakers. We were lucky enough to catch a glimpse of the northern lights on our last night, and it was magical to lie in bed and watch them plus the starry sky from the comfort of our igloo. Subtle luxury close to Nature. Deep tucked in your bed sheet, the view (still from your bed) is just exquisite. The igloos themselves were great, a large size and super warm to help with the -22 weather outside! Our aim is to provide the guests of Levin Iglut igloos the best igloo experience in Lapland. Breakfast is included in the room price in the igloo hotel. The igloos also have coffee makers and kettles for peaceful moments of enjoyment. 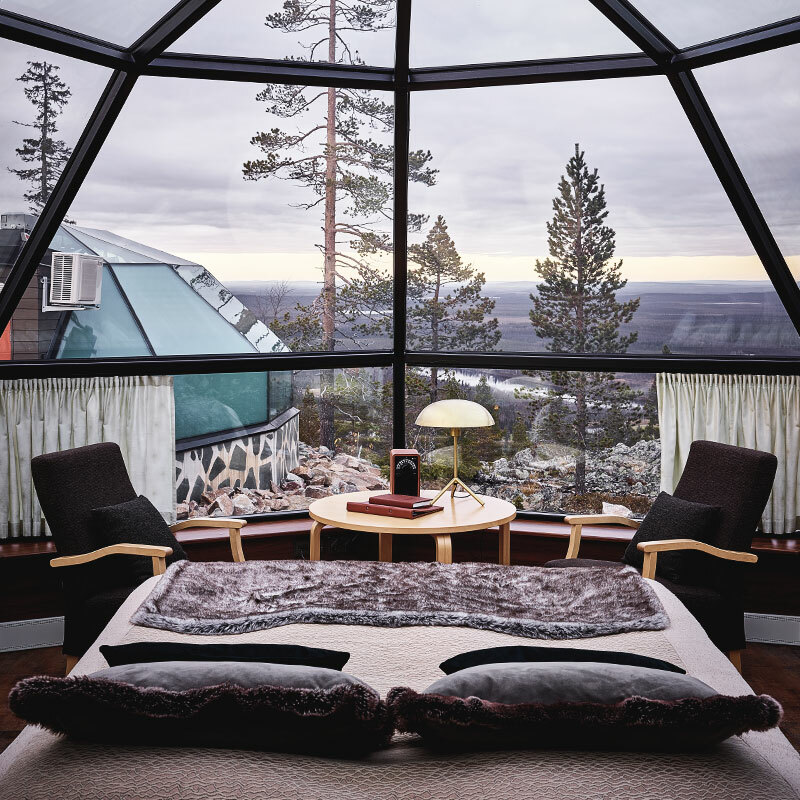 A luxurious motorised bed is the centre point of the igloo. There are also comfortable armchairs for comfortable lounging. Each igloo has its own bathroom and shower. 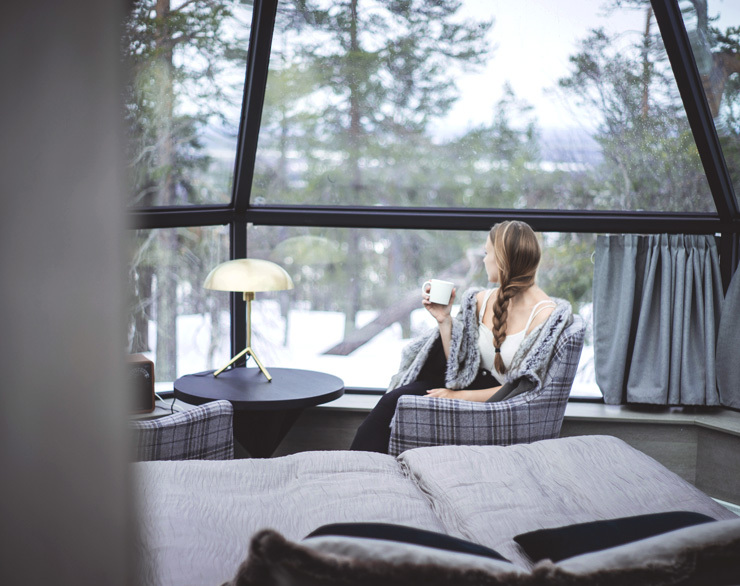 The kitchenettes in the igloos include a microwave oven and refrigerator, the Premium igloos also have speciality coffee machines in addition to conventional ones.